Blah I am super late sorry, I was away for a few days! Very similar to last-time I’ve just been keeping up with trying to prepare my main project and keep working at learning 3D modelling. The story-structure for the game is taking form along with the character designs so hopefully I’ll be able to start working on the game’s mechanical structure soon and begin working up a super-early prototype in a month to a couple of months~! 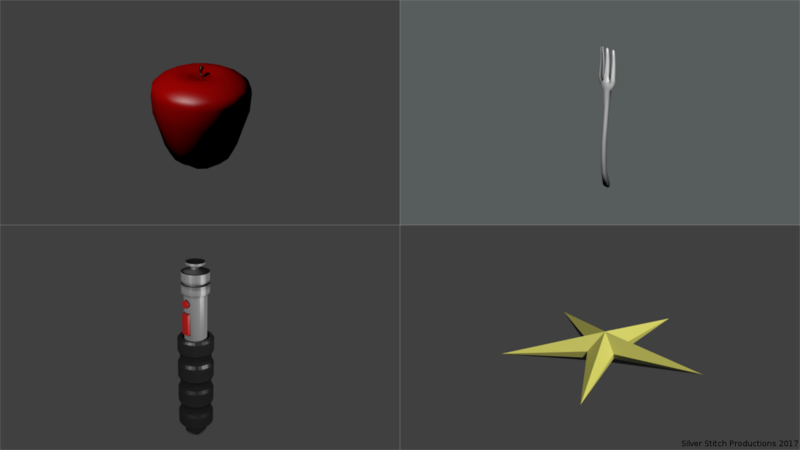 Been busy with lots of random things these past couple of weeks, trying to progress with my 3D training and pre-production with T.H.E. Game. Not heaps to report, but because of the lack of unique news lately I thought I’d add a composition of some of my 3D models. They’re super rough because I’m still new to this, but compared to the poorly constructed boxes I was making a month ago I think I’ve come a long way. I’ve still got ways to go before I feel I will be game ready, but I’m getting there! Plus I need the time to refine all the pre-production fully and get more comfortable with Unity. Still lots of learning ahead of me!